Cheltenham goes by just too quick from the punters' point of view. This year's festival will go down as one of the best in recent memory; with history and moments that will remain with racegoers for the rest of their lives. The festival continues to go from strength to strength with the popularity of horse racing getting to an unprecedented level. 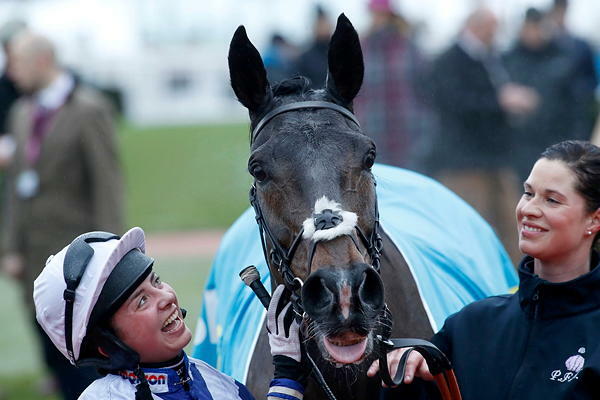 But, what were the best moments that will enable that this year's Cheltenham is remembered for years to come? The story of the week was undoubtedly Bryony Frost shattering the glass ceiling in jump racing and winning the hearts of the nation in the process. Frodon gave Frost one of the performances of the week in the Ryanair Chase, making the rider the first ever female to win a Grade 1 race over obstacles at the Cheltenham festival. NoviBet horse betting priced Frodon at a reasonable 9/1 chance before the race, with Footpad the favourite to continue its good form. However, Frodon led from the beginning, and every stride had a purpose. But it wasn’t the ride that caught the hearts; it was the relationship between the horse and Frost. No punter will forget the post-race interview, in which Frost transcended emotion to every viewer on ITV and everybody in attendance that day. The female jockeys had a remarkable week, and Rachel Blackmore continued the feel-good factor on Friday when she rode the winner in another Grade 1 race; this time in the Albert Bartlett. Lizzie Kelly also rode another festival winner when she guided Siruh Du Lac home in the Brown Advisory. The row between the riders and the BHA overshadowed the first few days of the festival, but the joy and unprecedented success from Bryony Frost quickly grabbed the headlines and made Cheltenham front page news; as it should be. The success of Paisley Park wasn’t a surprise to many of the punters as it was the heavily backed favourite, but in a week where a lot of the big names disappointed the patient ride from Aidan Coleman got fans in attendance on their feet. The story of the horse engrossed the festival, as it was the stuff of fairytales. Owner Andrew Gemmell was diagnosed blind when he was born, so his love of the sport was generated through commentary opposed to the picture. When Paisley Park crossed the line, the scenes of joy were contagious and a beautiful advert to why we love the sport. 2018 Grand National winner Tiger Roll produced the performance of the week in the Cross Country Chase as he furthered his reputation as one of the most loved horses in the country. The fan favourite went off at a short-priced and made easy work of the field as it strolled home by 22 lengths. Tiger Roll is a cut above the rest, and the price for it to create history by winning back-to-back Grand Nationals was slashed within minutes of the race finishing. It was a mauling. It didn’t come as much of a surprise as the same race was used last year as a preparation for the National. However, the quality of the horse should never be underestimated, and the Gordon Elliot trained Gelding is now a four-time festival winner. The likes of this nine-year-old don’t come around too often, and fans should appreciate his greatness while we can still see him doing what he loves.